One of the hot topics in education is finding sustainable strategies to solve current education issues such as achieving higher testing outcomes or meaningful use of resources. One strategy being reviewed is vertical teaching. Vertical teaching is not one of the newest hot topics in education. In fact, the roots of vertical teaching are in vertical tutoring. It is frequently used in many rural areas where there are not a consistent number of students in a particular age segment due to demographic or population shifts. Or there is a scarcity of teachers due to poverty or geography. Sometimes it’s both factors. Therefore, to successfully teach students, age groups are combined and taught single subjects with older students acting as mentors. Many schools in urban areas are now looking at vertical teaching for some of the same current education issues or reasons. One of the hot topics in education is the cost of providing education which is dramatically increasing and is on track to outpace the cost of healthcare in the next 15 years. As with any organization seeking sustainability, resource management is critical to insure the reduction of waste and consequently, achieve cost savings. Vertical teaching offers to provide cost savings by bundling students across age or term groups for specific non-core subjects such as music or art. Another benefit is in providing collaborative teaching opportunities between student and teachers. Older students who successfully master the course objectives are able to partner with the instructor to mentor or tutor the other students. This is akin to having graduate students in secondary schools teaching classes or leading study groups as TAs. In many cases, meaningful outcomes have been achieved by students in general assessment scores and benchmarks. Achieving meaningful outcomes is one of the many key hot topics in education. Finally, one of the benefits noted has been positive behavior management which is a current education issues. 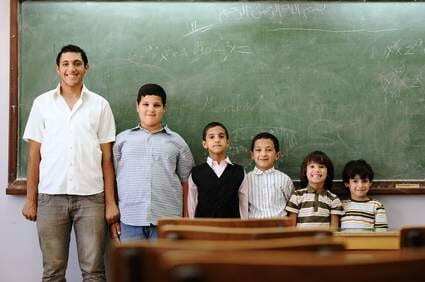 Classes with older students tend to have fewer disruptive events. This leads to less academic downtime for the instructor who has to stop teaching to engage in disciplinary action. More uninterrupted instruction time produces better outcomes which is one of many current education issues. Vertical teaching has been used mainly in post-secondary settings in the US such as the University of Chicago or in other countries such as Australia, Great Britain, or China. However, certain school districts in Missouri such as Jackson County have also implemented the program. Others have adopted similar program using vertical teaching teams whereby teachers across grade levels in a specific discipline, for example history, collaborate together to insure program and resource alignment. Collaboration is one of many hot topics in education. To initiate and develop a vertical teaching program several key elements must happen. First, the support of major stakeholders must be attained – the Superintendent, the School Board, and Teachers. Second, the core curriculum must be analyzed to insure that alignment makes sense. Not all subjects can be readily aligned nor need be such as AP Science. Third, processes must be developed and implemented that encourage and support information sharing between colleagues and teams. Without the free flow of ideas, collaboration will not be effective. Lastly, meaningful measurements that is aligned with core goals are needed. A review process should be built into model whereby the team can receive feedback and continuous improvement sustained through out the program. In our ever increasingly complex and competitive world, vertical teaching and its various adaptive forms is one of the hot topics in education and is promising to be a viable strategy to solve some of our current education issues.